Injection therapy is an umbrella term for a wide spectrum of injection procedures used to address acute and chronic pain. For example, prolotherapy (also called proliferation therapy or regenerative injection therapy) involves the use of a sclerosing agent while PRP therapy involves the use of platelet rich plasma as the therapeutic agent. JoAnna Forwell, ND is one of the top injection practitioners in Washington State. 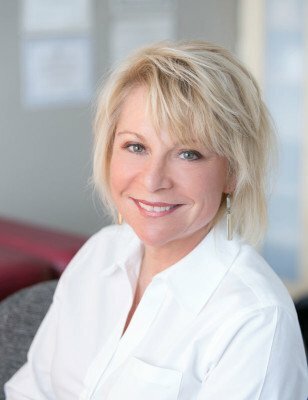 Since her graduation in 1992 from Bastyr University, a leading innovator in natural health education, Dr Forwell has been using some form of regenerative injection therapy in her practice for well over 20 years. As such, she has a wealth of clinical experience that exceeds any other injection practitioner in Washington State, and is counted among some of the first female physicians in the country to offer proliferant therapy, in its modern iteration, to her patients. Dr. Forwell was one of the founding instructors of NATI (the Naturopathic Academy of Therapeutic Injection), an educational group that has trained scores of doctors in the US & Canada. She also belongs to the AAOM (American Association of Orthopaedic Medicine) and the AANP (American Association of Naturopathic Physicians) In addition, Dr. Forwell is an Executive on the board of her state association, the WANP (Washington Association of Naturopathic Physicians). She is a member of and has achieved Diplomate status with the AAPM (American Academy of Pain Management). As a naturopathic physician, Dr Forwell approaches each of her patients as a composite, whole individual. This means that any injection intervention occurs within the context of a comprehensive, health-promoting protocol. In seeking to address and enhance the various factors that contribute her patients’ health and optimal wellbeing, Dr. Forwell counsels her patients on foundational issues such as diet, lifestyle, sleep, and movement. To augment this, she may also recommend specific nutrient supplements, as appropriate to her patients’ unique biochemical and physiological needs. The principles of injection therapy align beautifully with the philosophical roots of naturopathic medicine. Instead of masking the pain with pharmaceutical agents (such as narcotics, steroids, and anti-inflammatories), or jumping immediately to a surgical option, the injection therapies that Dr. Forwell offers, such as neural therapy, prolotherapy or PRP, have the capacity to address the root cause of the problem. Dr Forwell brings a gentle touch to her work, ensuring patient comfort and ease. She is very deft with the needle and takes great care in optimizing the patient experience. She finds this work to be richly rewarding, not only because of its ability to achieve relief from pain and injury but also because of its ability to help so many regain enhanced function and quality of life.